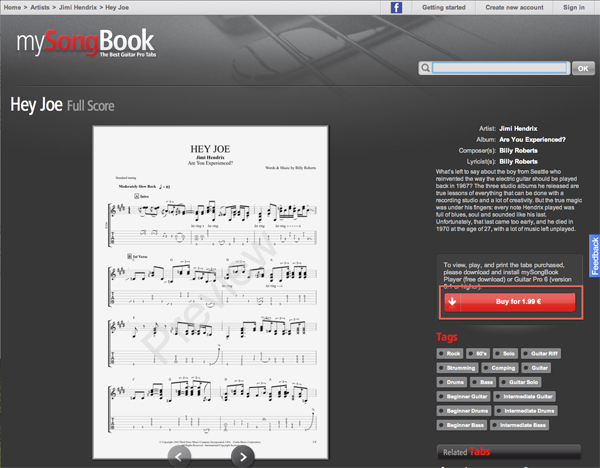 First log onto the website www.mysongbook.com. 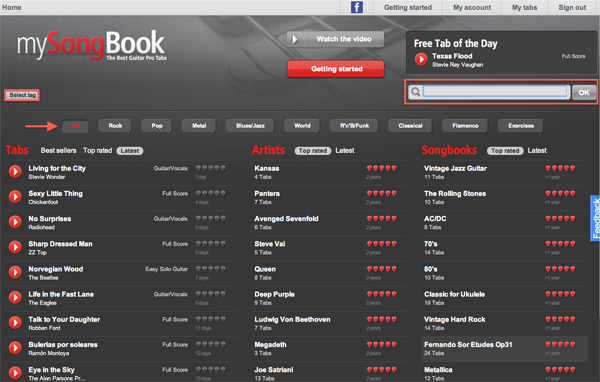 If you already have a mySongBook account, please "Sign in" to your account. 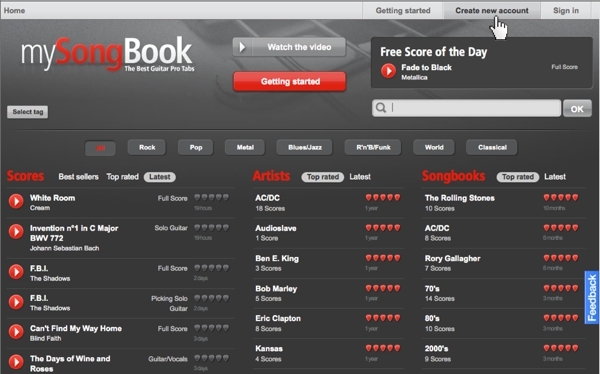 If you do not have a mySongBook account, please click on the "Create new account" tab (in the top right-hand corner), type in your user information and click on "Send". You will then be e-mailed your mySongBook account confirmation. It contains a 4-digit code for you to type into the “Confirmation code” form on the mySongBook website. You will then be e-mailed your mySongBook account confirmation. It contains a 4-digit code for you to type into the “Confirmation code” form on the mySongBook website. Use the search bar to find your favorite artists or narrow down your research to your favorite style using one of the included tags. 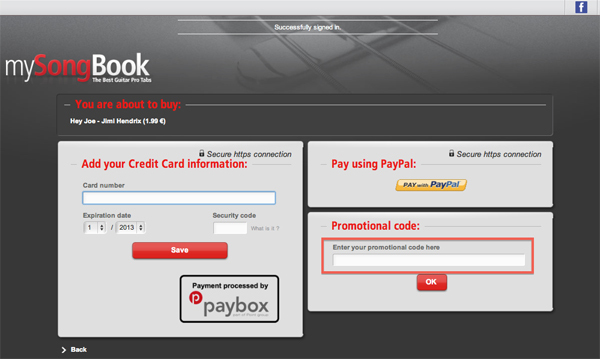 Once you chose your tab, simply click on «buy» and enter your code in the «promotional code» window.